An allergic reaction, sweet itch is specifically caused by hypersensitivity to the bite of the Culicoides midge, and also occasionally to an insect from the blackfly family – Simulium Equinum. 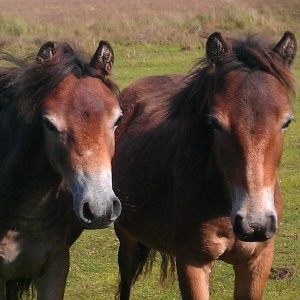 Horses, ponies and donkeys who’re affected by these insect bites will experience intense itching, usually on the mane, tail and withers. This itching then leads to them rubbing themselves (or biting themselves if they can reach), to try and get relief, and so loss of hair and thickening of the skin usually occurs. The skin may get extremely sore from the itching, so sweet-itch can make the equine very uncomfortable and distressed. Not all equines even on the same yard will be affected by Sweet Itch, and it’s not contagious. Also, sometimes other allergies/skin irritations will occur that although may have similar symptoms, aren’t actually sweet itch, so as with any animal health issue, it is important to obtain a proper diagnosis from your Veterinary Surgeon, only then can the correct treatment be prescribed. How to treat Sweet Itch? Additionally, ensuring a healthy well-balanced diet, to help maintain a healthy immune system can be helpful for the equine to have the best chance of being able to reduce the allergic reaction. Can any complementary therapies help? Veterinary Acupuncture has been used with immune health matters, and with equines with sweet itch, so could be helpful. There are several Veterinary Surgeons who have completed specialist training to help animals through the use of acupuncture, and are members of the Association of British Veterinary Acupuncturists. 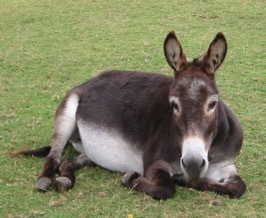 Essential Oils have been found to be helpful to some equines suffering from Sweet Itch. However, as they can be very powerful, it's recommended that you consult with a qualified equine aromatherapist, who will be able to advise on the most appropriate remedy for your equine. A holistic and non-invasive therapy that has been used to help equines with sweet itch. Soothing the skin irritation arising from sweet itch is important, and there are many different skincare products that you can find. Our favourite products here are using an Aloe Vera spray, Aloe Vera Gelly or Aloe with Bee Propolis. Which approach will work best? Every equine is different – some will experience sweet itch more severely than another, and some will respond to a treatment more quickly and more effectively than how another horse, pony or donkey will. So if you know of an equine who has had his/her sweet itch improve through a particular intervention, although it may work for your own animal, it may not. The reverse is also true – a treatment may help your equine, that hasn’t helped another – even in the same yard, so it’s worth keeping an open mind to find the best solution for your animal! As with all complementary therapies do seek the advice of your Vet first before using. A therapist will always need your Vet's permission before treating your animal, and regular liaison between the two professionals can often bring greater results to your animal's health anyway. Like advice on where to find a therapist for your animal? Email us at info@taranet.co.uk - we're happy to help!